It’s November. Sleeves are getting longer. Days are getting shorter. But we are still running. If you had been following me for a while, you would certainly have read about the problem I used to have with running in shorts. I simply didn’t feel comfortable with them. Of course, along this journey my legs have changed so bad, therefore shorts are no longer a taboo for me. In fact, I got so used to run with shorts that now I hate the fact I must switch them for tights all winter. 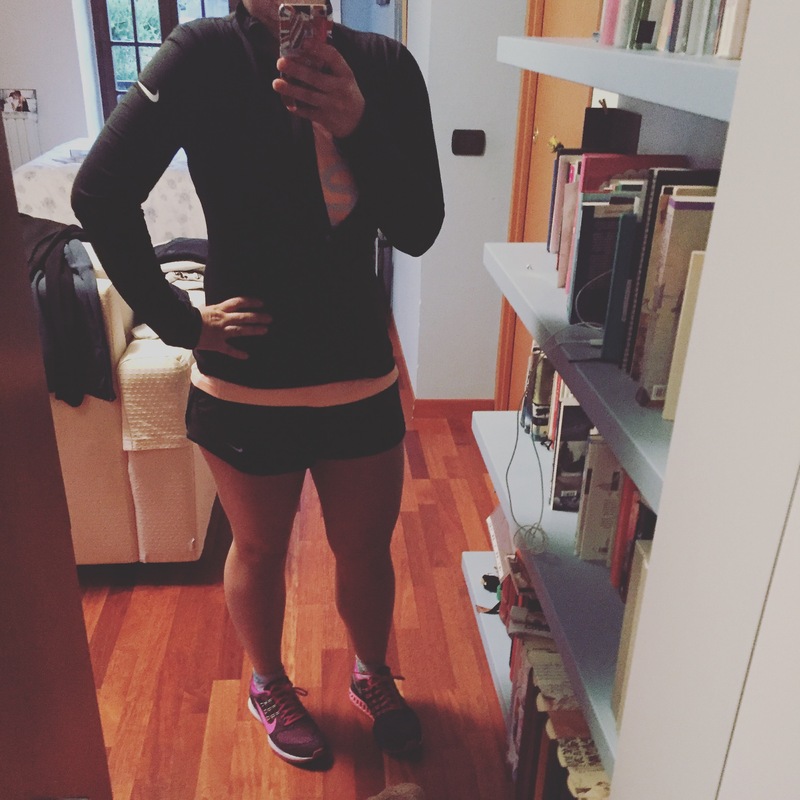 These was probably one of the latest runs in shorts (of course, in Rome I could go with shorts and bra without suffering cold… But Bergamo is slightly colder). I don’t like the sound of that. I liked running in shorts, it made me feel confident. Being able to run in shorts and not having any shame. Being able to run only with the essential. Running in shorts means long runs at sunset, summer and fall skies, filled with blue, orange, yellow… Running in shorts means freedom. I’ll probably try to keep running in shorts as long as snow doesn’t fall on the ground, even though everyone has already started telling me I’m going to get a flu doing it. Running is mostly about feeling free… And I’m determined to do my best to feel free as much as I can. Are you going to miss shorts as well? Next Post Tune Tuesday: Are You With Me?